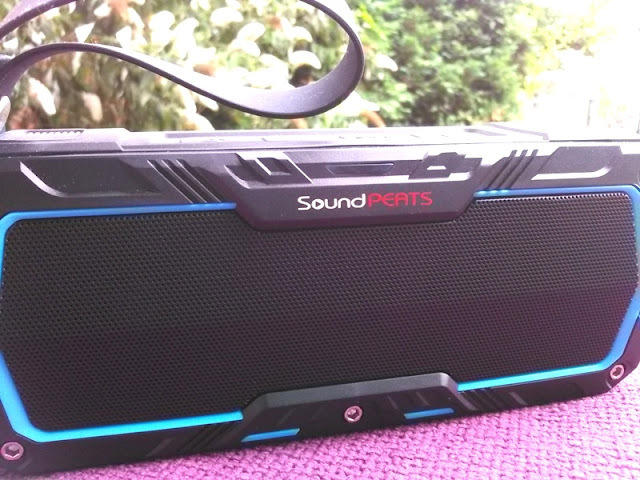 SoundPEATS P3 Portable Bluetooth Dual Speaker With 10 Hours Playtime! 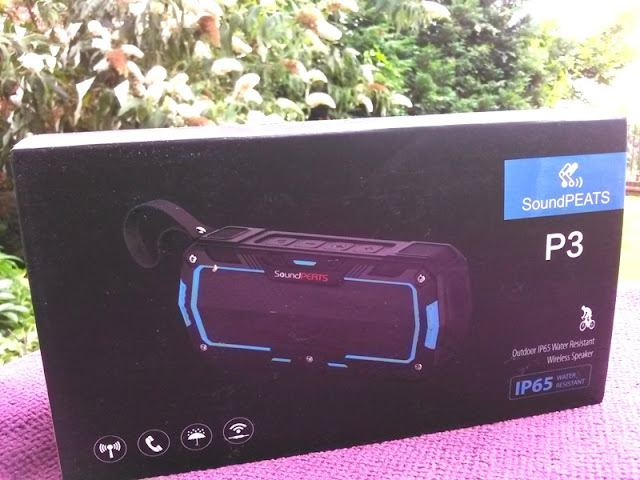 I was quite impressed by the SoundPEATS P2 waterproof speaker that I tested a few days ago and today, I am testing the SoundPEATS P3 which has dual speakers producing a total output of 10 watts! 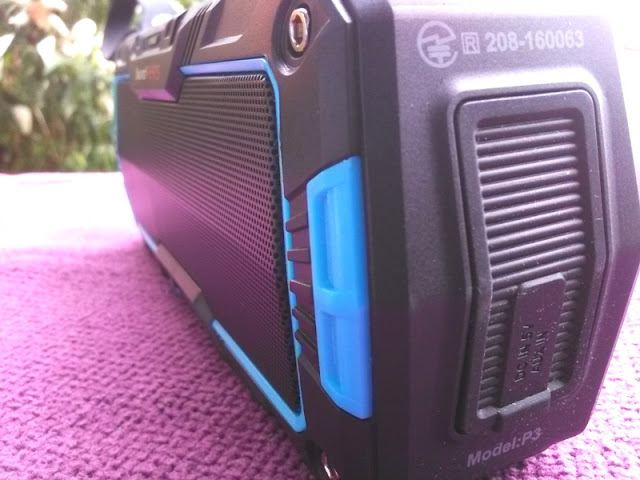 Just like the SoundPEATS P2. 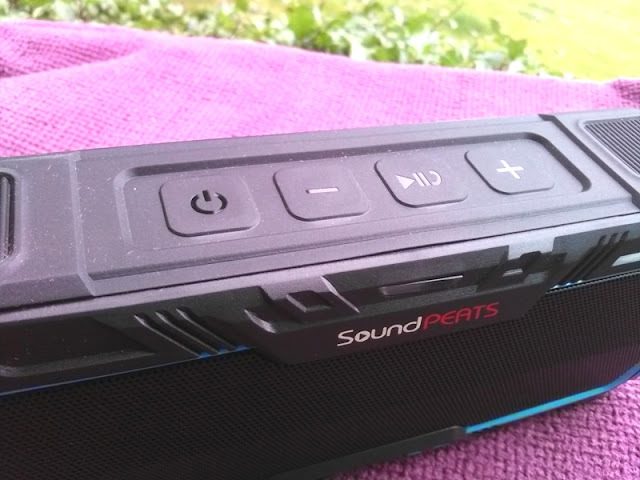 the SoundPEATS P3 has a great sound with super bass and features a silicone strap that comes handy for hooking the unit on a shower head, patio umbrella, garage door, tree branch or for carrying it around on your wrist when taking the dog for a walk. 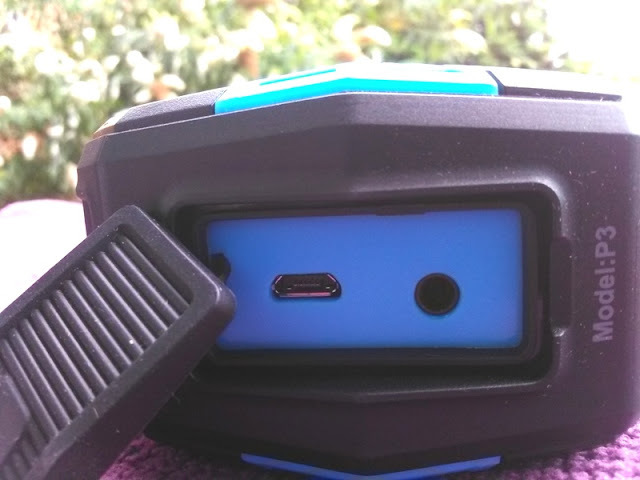 The rubber grommet seals the AUX/USB area tightly preventing dust and water from reaching the micro USB port and 3.5 mm jack socket. 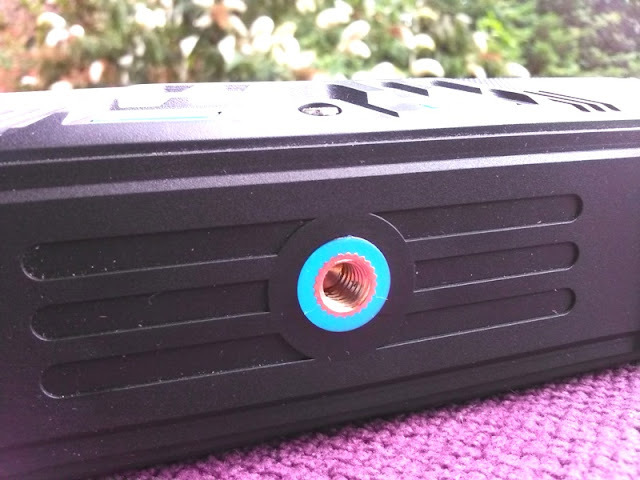 The control buttons and outer shell of the speaker unit is nicely sealed with durable rubber (IP65 rated). 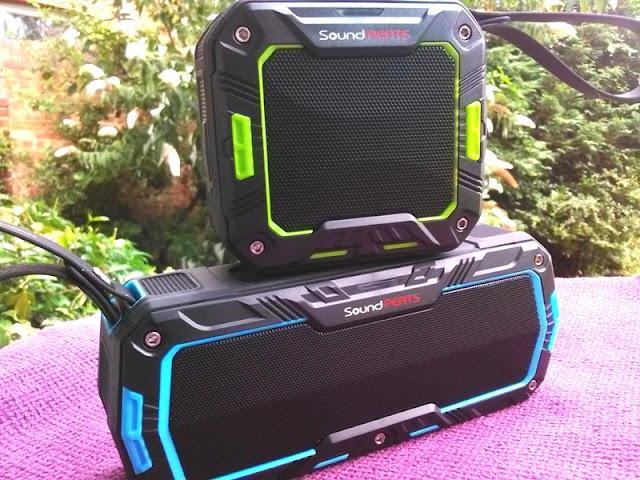 Battery life is also great thanks to the 2000mAh lithium battery which gives the SoundPEATS P3 a cool 10-hour play time. Charging time takes around 4 hours and charging is done via the micro USB port. 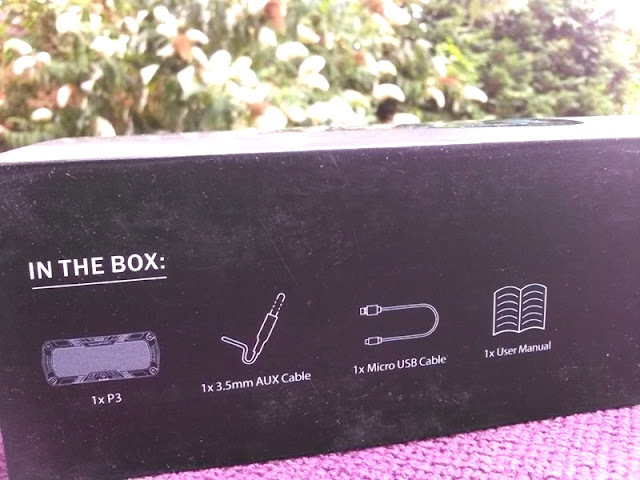 Micro USB cable and 3.5mm audio cable are both included. 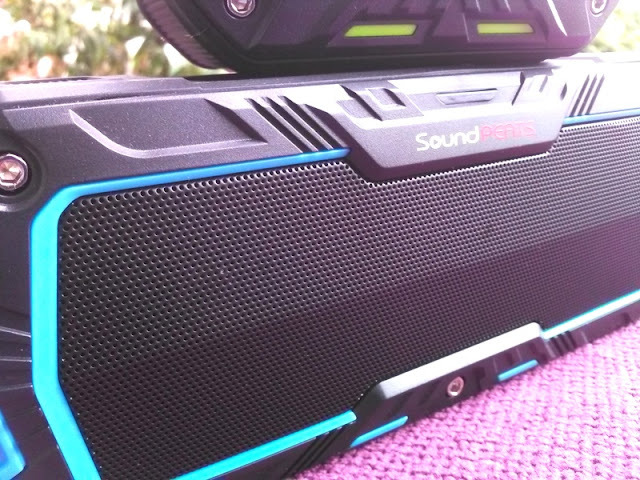 You can make calls from the SoundPEATS P3 by pressing the call button twice to allow you to broadcast the phone call over the SoundPEATS P3 speaker. The built-in microphone picks up your voice clearly without being muddy or muffled. 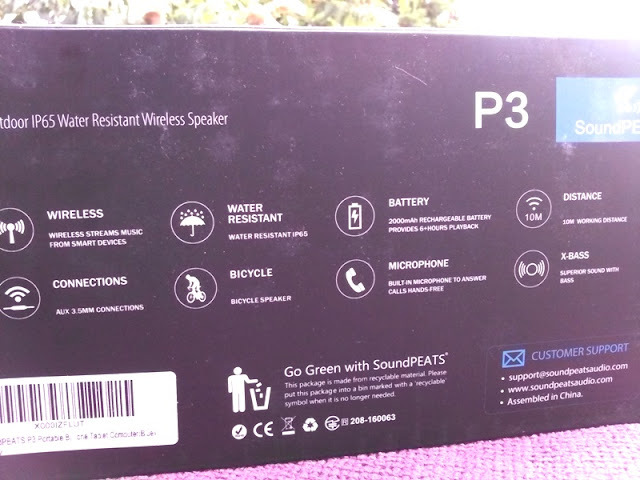 Instead of voice prompts, the SoundPEATS P3 produces a chime sound when the unit is turned on/off, paired, or when the SoundPEATS P3 is running low on battery. 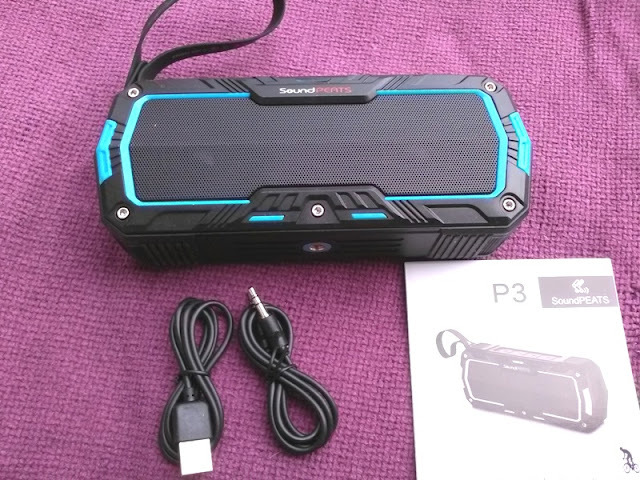 The single LED indicator comes handy during pairing process as well as for letting you know when the battery runs low and when it's fully charged.